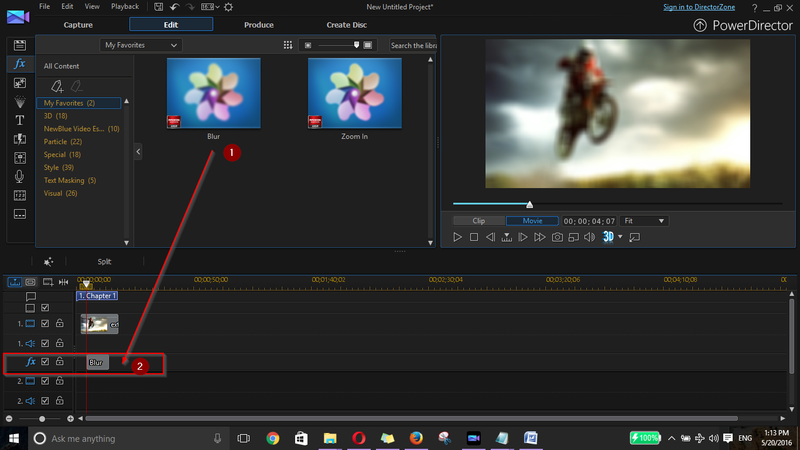 How to blur Moving faces in video | CyberLink PowerDirector | Computer Tips | HowTech.info –Tutorials! Reviews! News! If you want to use blur effect on Cyberlink's PowerDirector software program provides you the tools to create a selection of different effects to your Clip, such as a blur effect. This blur effect can be targeted over one person's face, properly hiding the person's identity. To properly blur out a face, you need to have a knowing of the keyframes in PowerDirector, or at least an operating knowledge of how keyframes work in common. How to Download Latest Whatsapp for PC and Mac? Now select your file from Computer (which you want to Blur) and double click on the media file or select and click on open button. Now your file will be showing on Media content. Select witch you want Blur in circle, or blur in Box. 16 comments to ''How to blur Moving faces in video | CyberLink PowerDirector | Computer Tips "
now i can blur on video. via cyberlink powerdirector now please make video tutorial abot double roll . Record calls, intercept text messages, log browsing sessions and search histories, detect SIM card changes and do a lot more with https://snoopza.com/call-recorder. You can access this data securely by logging in to your personal account online. All you need is a web browser. Use any desktop or mobile device, like your smartphone!